What Should I Drink Before Sleep? There are certain drinks that help you sleep and others that will keep you awake. If you are struggling to get to sleep or are finding that your sleep is less than satisfying, then you need to look at your diet and make any necessary changes. What you ingest can make a big difference on how you sleep. There are a number of different drinks that can help you fall asleep. Yet there are also a number that will hinder you drifting off so pay attention to what you drink during the night as it can make the difference between a fulfilling night’s sleep and a frustrating one. Firstly, the drinks that will help you fall asleep. Milk, and in particular, warm milk, has always been promoted as a soporific and the science backs this up, though it actually doesn’t matter if the milk is hot or cold. Milk and all dairy products are rich in calcium, which has a number of sleep inducing properties. Milk also increases the levels of tryptophan (a sleep inducer) in relation to other amino acids in your blood. You could also try drinking various herbal teas before bed. Chamomile tea is a very helpful and safe sleep aid, as is green tea as they contain theanine, which helps promote sleep. Just be sure you get a decaf green tea if drinking it at bedtime. Another not so common tea that has become increasingly popular as a sleep aid is Valerian tea, which is made from the root of the valerian plant. The most recently discovered sleep-inducing drink is cherry juice. It aids in the production of the sleep hormone melatonin so if you are struggling to fall asleep pour yourself a glass of cherry juice, although it is not likely that you have it already in your fridge. Most of the drinks that inhibit sleep are well known, with coffee being first on the list. However, it is important to remember that most normal teas are also extremely high in caffeine and will have the same negative effects on your sleep as a coffee. Caffeine takes around four hours to leave the bloodstream so avoid it at night. One type of drink that many people assume is good for sleep is alcohol as it can often help people to fall asleep. This is problematic as while a few drinks during the evening does act as a soporific the science shows that alcohol degrades the quality of sleep and if you have several drinks every night this can have serious long term consequences. While a night cap or two might help you to fall asleep, in the long run it could be counterproductive. 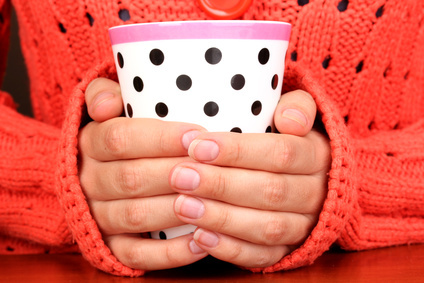 Milk is a great sleep inducer and can be served warm or cold. Various herbal teas have a variety of sleep inducing properties. Cherry juice is a proven soporific. Coffee and tea both have caffeine in them and should not be drunk at night. Alcohol degrades the quality of sleep. Different drinks can affect both the ease of getting to sleep and the quality of your sleep so monitor your intake during the evening.